moving a hair. “It’s ok. I just want to take a picture of you. Is that ok? Are you ok?” I whispered. Then I heard from inside, “I am to stay here.” “That’s fine.” I said, “You stay as long as you like.” And it’s easier for Mama Deer to go off and have her meal if she doesn’t have to watch over her children and predators at the same time. She would return. 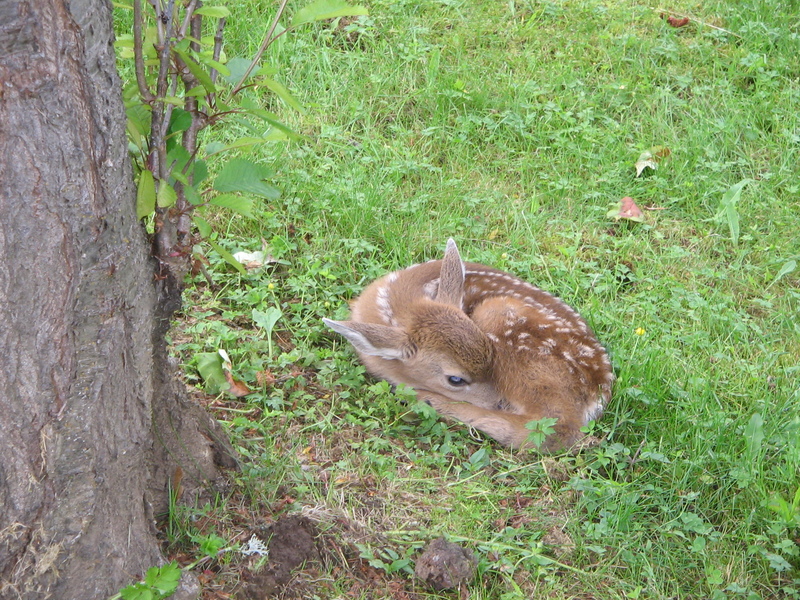 I snapped a few shots and thanked the little fawn then retreated back into the house. The two fawns lay motionless for another hour or so before Mama Deer came to fetch them.